Will the Federal Reserve trigger the next recession? The Fed is meeting and most analysts expect that they will signal that they are making no changes in their plan to move forward with at least two more rate hikes this year despite the weakest first quarter economic growth in three years. The Fed is still trying to work its way out of the “historically low” interest rate environment it has been forced to use to keep the economy upright since the Great Recession a few years ago. The trouble is that despite years of economic expansion, none of those years have come across as particularly strong. In fact, with just two exceptions in the last few years, every time the Fed thought the time was right to raise rates, new, bad economic news came out to derail their plans. This time, however, the Fed looks like it will not be deterred by any run-of-the-mill negative data. Even as inflation falls. 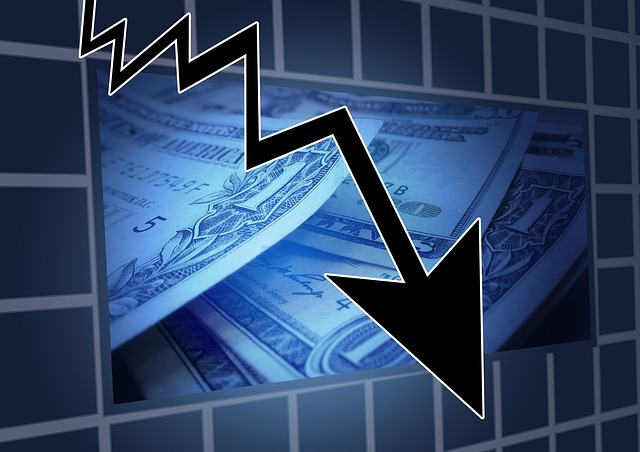 Fed officials are blowing off the poor first quarter of economic performance. They say that they fill it is temporary and the economy will recover and continue to grow at a better rate, as soon as the second quarter. But, with no inflation pressure to speak of, one can’t help but wonder what their hurry is? Is there really more to this than wanting to be with the cool kids on the “hawks” side of the equation? On the other hand, employment is full by most any measure, so if you were going to raise rates, this is a good time. Historically, however, when you get this either/or type of economic teeter-totter, whichever side the Fed sits on, is the way the economy moves. Think Credit Karma is a scam? Check our review. With most Fed watchers anticipating a June rate hike, the central bank won’t have much time to gather new data to bump it off course. Unless some more data comes out (a weak job report, maybe?) more rate hikes are coming. Couple up those rate hikes with the fact that the stock market has been racing ahead of the actual economy’s growth, and the fact that we are eight years into an economic cycle that tends to reverse every eight to ten years, and the Fed’s insistence on boosting rates might just be the push the system needs to roll over into a correction and what will, hopefully, be a mild recession. Otherwise, here we go again. Recently, I wrote about how lots of various financial analysts and pundits predicting a coming stock market crash or imminent recession are more interested in trying to take credit for making a guess than in accurately predicting what the facts actually support. However, there is one very good case for predicting a recession coming in the next few years. It is as likely as not that the next recession will trigger the next stock market correction. Of course, the opposite has been known to happen as well. Most recently, the internet bubble popping took the economy with it, when it caused the bankruptcy and fire sale of dozens of formerly high-spending technology companies and sent their employees flooding onto the market, just when the demand for them vanished. On the other hand, the slow motion implosion of the housing market, and its affects on poorly leveraged, and managed, banking companies, followed by their panicked actions to stay alive, is what caused the so-called Great Recession of the Bush the Younger era. Is Acorns safe? Read this review. These days, most analysts like to predict a stock market crash based on “knowing” that the market is over-valued, or propped up by the Fed, or whatever else you want to say. That’s a lot sexier than saying that an economic recession will likely cause the rapid rise of the stock market to halt. This morning over on MarketWatch, an article makes maybe the best possible argument for an coming recession. Of course, solid, accurate, reporting, absent some sort of “click-trigger” is an anathema to journalism today, so the article has to include Trump in the headline, although the President has NOTHING to do with why the article says a recession is coming. If we look past the “we’ll get more clicks with Trump’s name in the title” shenanigans, we get a solid point. The reality is that expansions come and go, and they do so, with recessions in between. While the length of expansions and recessions vary widely, the reality is that neither lasts forever. In fact, most recent expansions have lasted around eight years or so. How long has the current expansion been going? Predicting exactly when the economy will roll over into a recession is a suckers game. However, with 8 years of expansion behind us, history would suggest that one is coming in the next couple of years. Is WalletHub safe? Check out our review. That is the catch, of course. If it takes another three years, then you would miss out on a lot by bailing out now. If it happens in just 6 months, you should be getting prepared. Also, while the last recession was a doozy — there’s a reason they call it the Great Recession — the next one doesn’t have to be. It might end up being mostly statistical with most people not really being affected beyond a little worry. Here is where things get really iffy. This expansion has been going for 8 years, but realistically, only the last year or two has been “real” expansion. The rest has been barely moving upwards, with very low inflation, and slow recovery in the job market. Does that mean that this expansion can last longer? Read our Credit Karma review to see if it’s legit or scam. For example, if we only counted decent growth as part of this expansion, then it is only two or three years old. I think this economy is still teetering on weakness and with the Fed so gung-ho to raise interest rates, it’s a good bet that it will roll over in the next year or two, when it gets unable to handle tightening monetary policy. However, there isn’t an overheated housing market (some places, but not nationwide), and even the stock market isn’t that far out of whack. As a result, this coming recession should be milder than the last one. If I had to make a bet, I’d say the recession comes at the beginning of 2018, after analysts realize that the holiday shopping season was too weak to support a growing economy, and the Fed just finished pushing through a third or fourth rate hike for 2017. Furthermore, I’d guess that it will be relatively mild, maybe pushing employment back up north of 5%, but not all the way to 6%. Of course, I don’t have a crystal ball either. This article is for informational purposes only and is not a recommendation to buy or sell securities. Talk with your financial and tax professionals for advice on your specific situation. 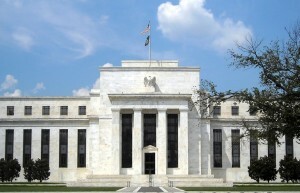 The Federal Reserve raised interest rates one-quarter of a point, or 0.25%, in a widely expected move. The benchmark rate is now technically the range between 0.75 percent and 1.0 percent, although most people refer to this simply as 0.75%. As pretty much everyone predicted, the Fed raised interest rates at its March meeting. This is the second interest rate hike in just three months, and the third one overall since the Great Recession. While some indicators are showing signs of inflation, there is also an increasing concern that the economy isn’t as robust as some might think. Things certainly look good right now, but few analysts look as this economy as a powerful train moving forward, so much as a boat drifting in the right direction and easily pushed off course. As a result, the guidance from the Fed continues to be for three total interest hikes in 2017, meaning that currently they expect two more hikes between now and December. Just when those hikes will come depends a great deal on how the economy fares. Another few months of good job reports and increasing prices, could mean two increases in a row. Any signs of faltering, however, leaves the Fed with room to skip a hike, or put some space in between. While some so-called hawks are squawking about higher inflation numbers, the Fed was careful to not that without the rise in oil prices (caused more by OPEC maneuvering than actual inflationary pressure), inflation still remains tame and below the mythical 2 percent target. Yellen made sure to note that 2 percent, “is not a ceiling on inflation. It’s a target.” In fact, the Fed believes that inflation may end up slightly above 2 percent for certain, shorter periods of time. The Fed currently sees inflation for 2017 running at 1.9% which would come very close to the 2 percent target. It also continues to see GDP growth for 2017 at 2.1 percent. 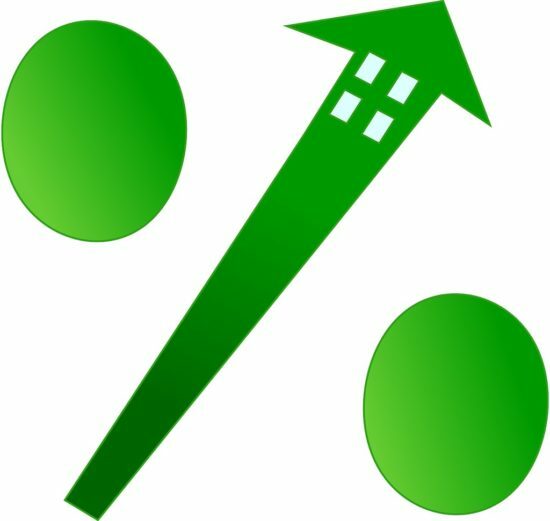 Consumers with variable interest rate credit cards tied to the Prime lending rate will see a 0.25% bump on their current interest rate. Mortgage rates, which more closely follow the 10-year Treasury rate, have already been increasing in anticipation of the rate move. 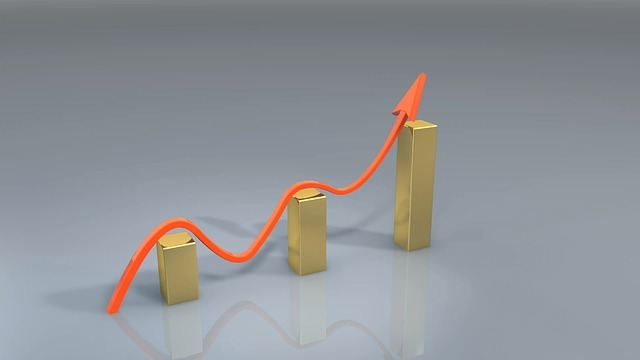 As a result mortgage rates won’t show any sudden increase, although they will likely continue to tick upwards as analysts see higher rates in the future. Savers won’t see much change on their savings accounts and bank accounts. Banks move much more quickly to boost rates on loan products than on deposit accounts.